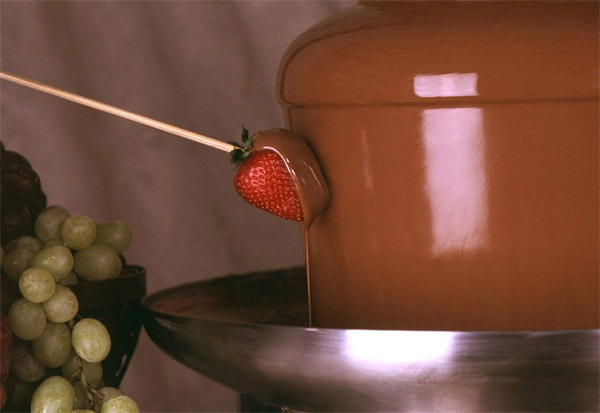 Chocolate fountain hire Southport and surrounding areas. Our large chocolate fountains cascade the finest, warm, melted Belgian chocolate, in a perpetual fountain for use as a chocolate fondue. Guests can dip in a range of indulgent items such as strawberries, marshmallows, bananas, mini-doughnuts and much more! D’vine Chocolate Fountain Southport makes a great centrepiece for any occasion including weddings, parties and corporate events. If you would like to hire a D’vine Chocolate Fountain, then please choose a package from below that suits your requirements.Our packages are flexible and we are happy to discuss with you any specific requirements you may have.